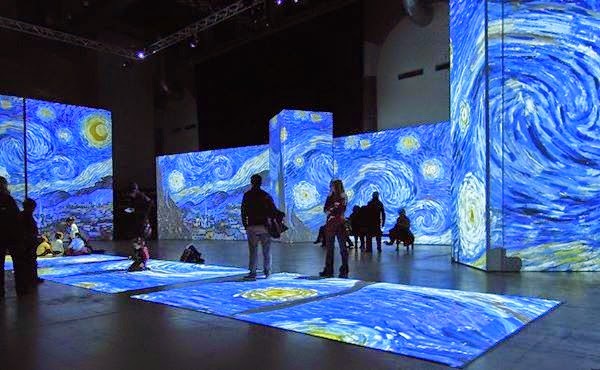 Starry Night is probably Vincent van Gogh's most famous painting. 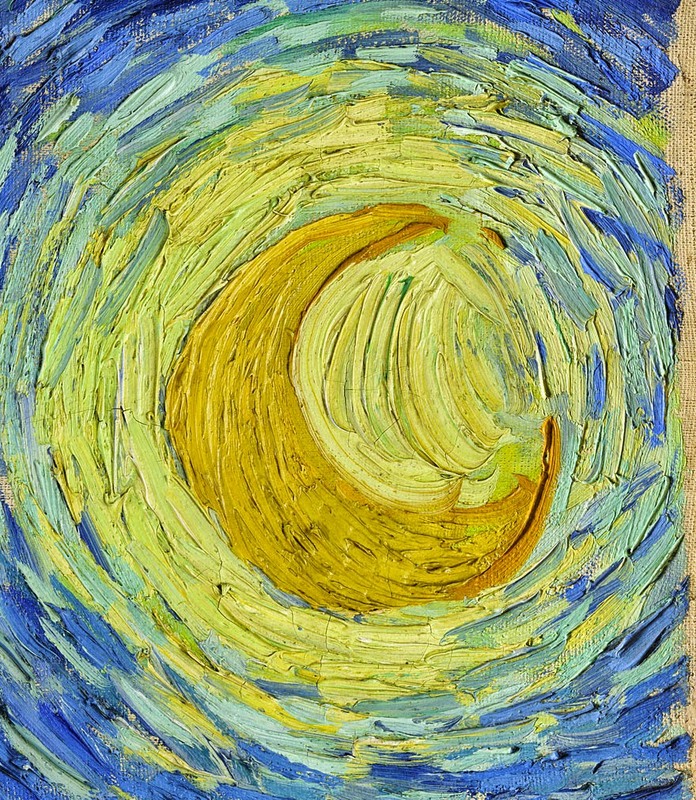 Instantly recognizable because of its unique style, this work has been the subject of poetry, fiction, CD-ROMs as well as the well known song "Vincent" or "Starry, Starry Night" by Don McLean. While there's no denying the popularity of Starry Night, it's also interesting to note that there is very little known about Vincent's own feelings toward his work. This is mainly due to the fact that he only mentions it in his letters to Theo twice (Letters 595 and 607), and then only in passing. In his correspondence with his brother, Vincent would often discuss specific works in great detail, but not so in the case of Starry Night. Why? It's difficult to say. Starry Night was painted while Vincent was in the asylum at Saint-Rémy and his behaviour was very erratic at the time, due to the severity of his attacks. Unlike most of Van Gogh's works, Starry Night was painted from memory and not outdoors as was Vincent's preference. 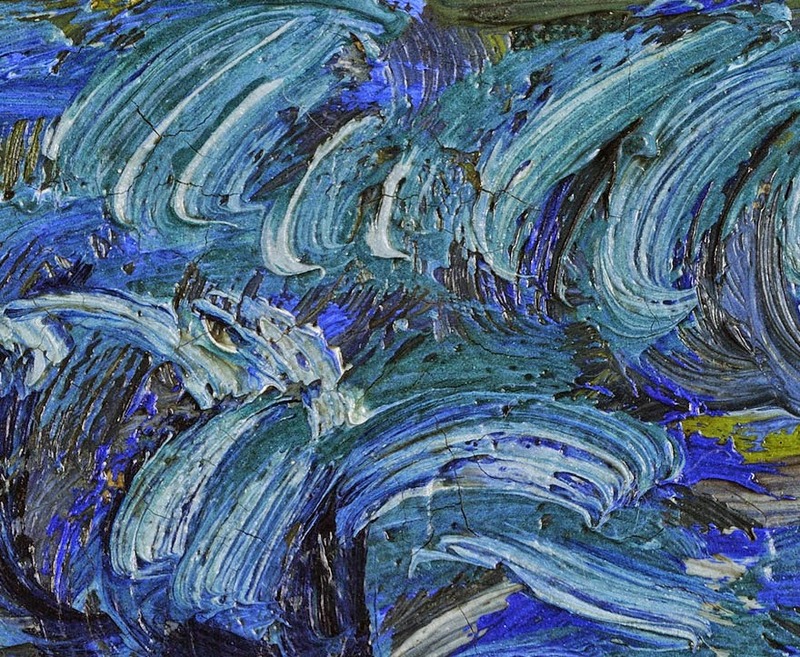 This may, in part, explain why the emotional impact of the work is so much more powerful than many of Van Gogh's other works from the same period. Some people have made stylistic comparisons to Vincent's other well known and equally turbulent work Wheatfield with Crows. 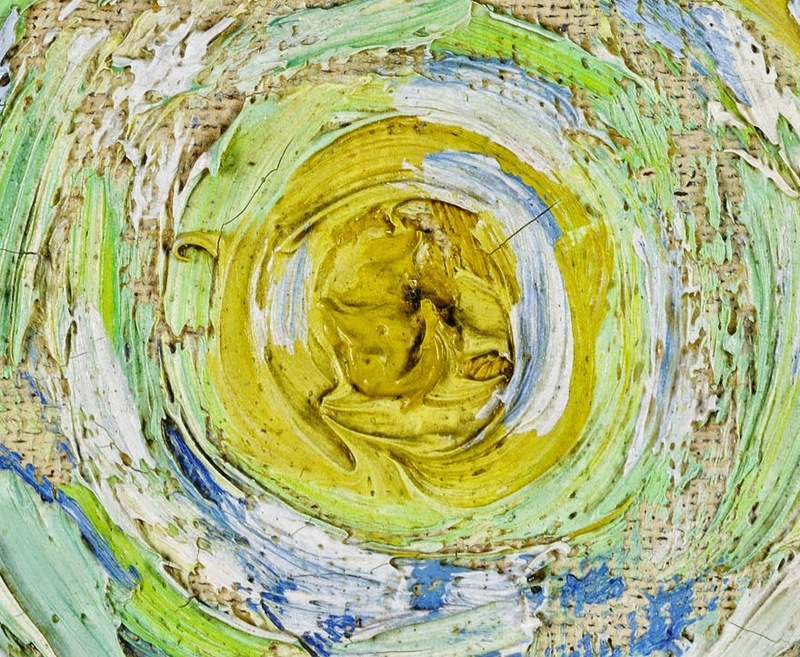 Does the tumultuous style of these works reflect a tortured mind? Or is there something more we can read within the whorls Vincent's raging night sky? This is what makes Starry Night not only Vincent's most famous work, but also one of its most frequently interpreted in terms of its meaning and importance. Some people have speculated about the eleven stars in the painting. While it's true that Vincent didn't have the same religious fervour in 1889, when he painted the work, as he did in his earlier years, there is a possibility that the story of Joseph in the Old Testament may have had an influence on the composition of the work. Notte stellata è un dipinto a olio su tela (92x73 cm), realizzato nel 1889 dal pittore Vincent van Gogh e conservato nel Museum of Modern Art di New York. Rappresenta un paesaggio stellato sopra la città di Saint-Rémy-de-Provence in Francia. Sulla data esatta dell'esecuzione di quest'opera, la maggior parte degli esperti sono concordi nel sostenere che sia stata dipinta poco prima dell'alba del 19 giugno 1889, ma su tale data non mancano le controversie. L'artista, infatti, fa esplicito riferimento all'opera Notte stellata in una lettera risalente al 31 maggio (lettera n. 593) e l'esistenza di due lettere successive (lettere n. 594 e n. 595 rispettivamente del 9 giugno e del 19 giugno 1889) ci porta a quasi un mese prima del 19 giugno 1889. « […] Questa mattina dalla mia finestra ho guardato a lungo la campagna prima del sorgere del Sole, e non c'era che la stella del mattino, che sembrava molto grande. Daubigny e Rousseau hanno già dipinto questo, esprimendo tutta l'intimità, tutta la pace e la maestà e in più aggiungendovi un sentimento così accorato, così personale. ma sembra poco per sostenere che quella notte abbia realizzato l'opera. Il cantante Don McLean ha dedicato la canzone Vincent a questo quadro.